Stampin' Up has partnered with Country Living magazine to design the Country Living Holiday Collection Stampin' Kit that will be featured in the December 2008 issue of Country Living. 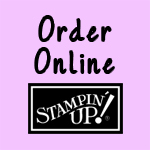 As an added bonus, Country Living is offering Stampin' Up! customers a special magazine subscription rate. Subscribe to a year of Country Living for only $12 and get this FREE mini stamp kit! For just $1 an issue, you'll receive great craft projects, articles on collecting, makeover features, recipes and entertaining ideas-all delivered to your home each month. PLUS, Country Living will include the exclusive Stampin' Up! mini stamp kit. Use it to design note cards, menus and anything else that inspires you! To take advantage of this awesome deal click here!